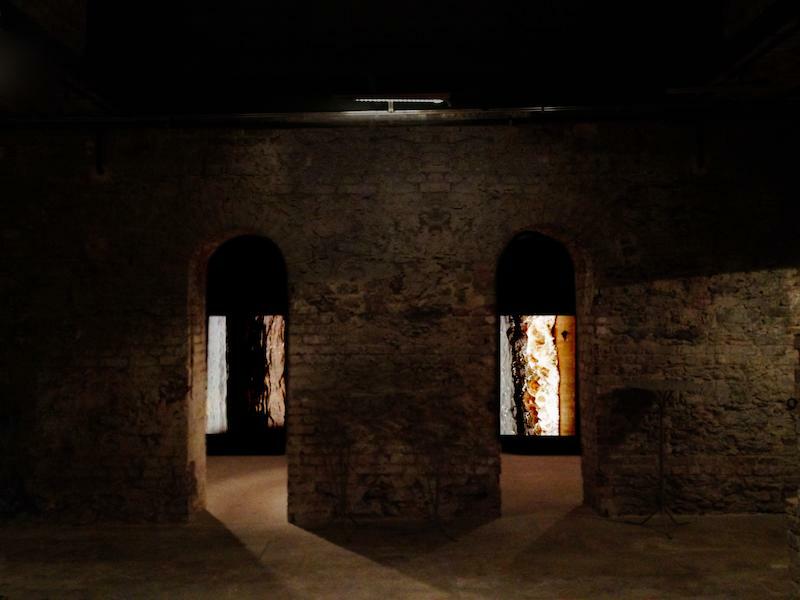 Mine Kaplangı: Yoğunluk is an initiative and a residency that is mainly focused on the relations between art and space. How would you describe the initiative's starting point? Ismail Eğler: The idea to start a residency first entered my mind after being invited to an artist-in-residency in Iran in 2012. Our initial approach for creating a residency program took off without any considerations on what the program itself should focus on. Having Swiss, Austrian, Iranian friends interested in art, we were focusing on creating a program that relied upon artist exchange. 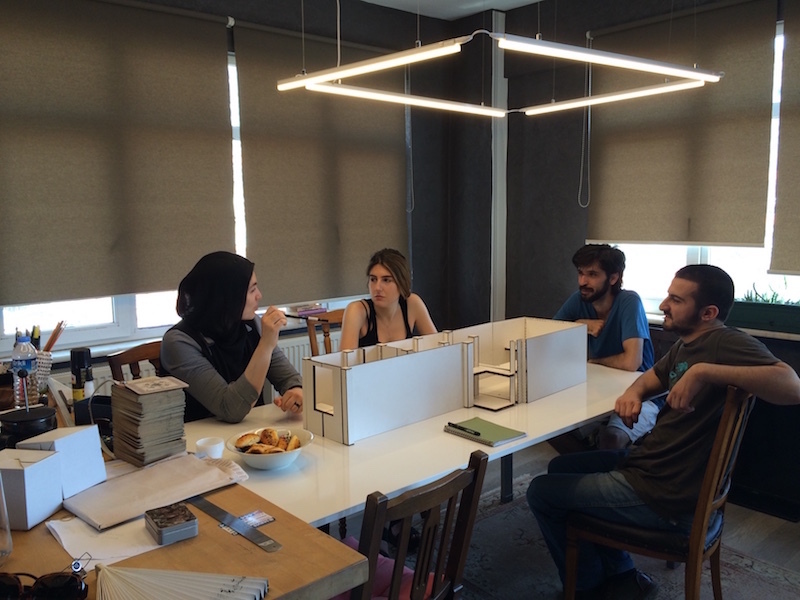 We were planning to finance the program with a café, and showing possible works created through the residency. This outlook completely changed when Nil joined our team in 2013. Concentrating on the idea of a “white cube,” we had a critical approach to gallery shows, while still not being opposed to them. Following these concerns, we have decided to forego any idea of hosting the residency in one defined space. We’ve reached a decision to never pay for our space, and have the residency’s content reliant upon it. Having set a foundation on this idea made us postpone the residency program, and created an initiative that referenced the idea with its name. Consequently, the initiative doesn’t view the space as a secondary element to the artistic creation process; instead we understand the space as an essential component and the starting point of creating artworks. We start our projects with the space, and produce experiences dependent upon the very place. Sometimes with our projects, we reveal something hidden but still present in these spaces. Deciding on the conceptual framework of the projects ourselves, we often invite artists to collaborate on its realization. The name Yoğunluk (intensity) refers to diversified aspects contained by a stable core. Each aspect depicts a different part of the core, which we understand as a space of density. MK: Do you have other art projects that are not especially site specific or related to space? IE: Alongside works we create in accordance with various spaces, I have my own works that I often associate with the initiative. These are usually video and time-focused pieces, which come to exist through intuition and timing. Sometimes I record instances from my daily life, and sometimes I travel to specific places in order to capture specific images, such as the woods or the seashore. I store these images on my computer, and realize them after some time, with mostly temporal manipulations. I also employ simple digital manipulations, but the effects created by these are never too simple. Such manipulations create a rift in reality; they break them away from their time and create newer ones. Sometimes it feels like these rifts happen despite me, and I am only the mediator of the complete process and series of unfolding events. We also develop interactive mechanisms, which are generative systems and code-based automations that produce certain behaviour modes. After deciding upon an behaviour we develop a code that creates a system that simultaneously responds with an action form. 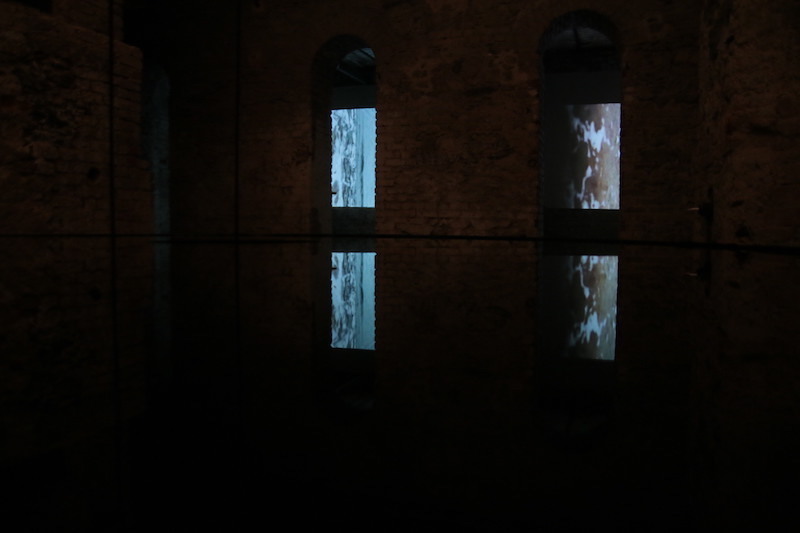 This form is sometimes created with sound, and sometimes created through cameras as images. Yoğunluk members also attend seminars and workshops to describe our works. This term we initiated “atmospheres” a class at Istanbul Technical University, where we share with students, Yoğunluk’s topics of interest, perspective on space and the approach which helps to comprehend the world surrounding us. We are planning to start a project with our students via this comprehension. We started this class to share our intellectual and empiric accumulations by working on these projects since we were students. 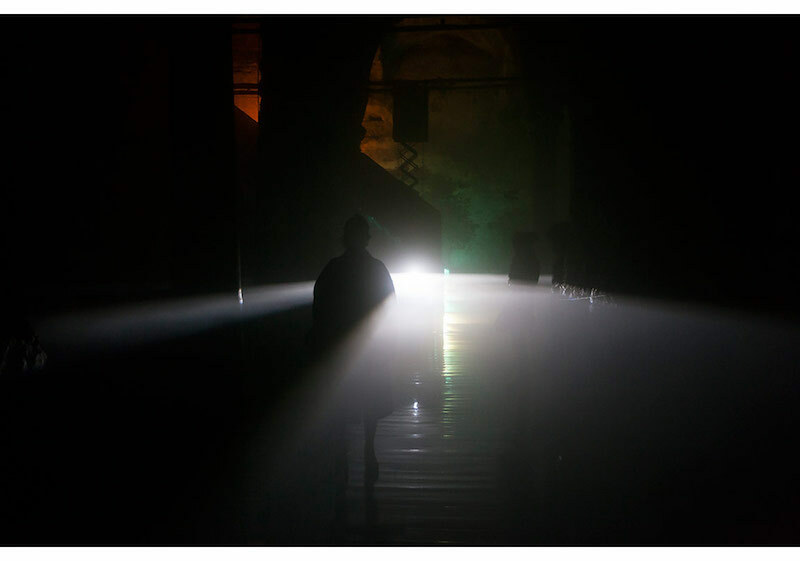 “Atmospheres” is a class that foresee a process in which students can create their own perceptions of a certain space and have intense relations with this space and by making an artistic installation based on their physical experiences in this space they will reveal their secret potentials. MK: How do you plan your yearly program? Our yearly program entirely depends on the funding and the spaces we have encountered. Depends on the space’s circumstance, its’ function and sponsorships meetings take place and based on these very parameters calendar creates itself for each project. However, we do have an ideal way of realizing a project, which has happened a few times. Such this ideal projects we are either offered to work in a space or we encounter a place that charms us. Afterwards we occasionally visit the space to see if the space whispers us something to work on. This dialogue evolves and expands with time, and creates a conceptual foundation. Starting from this very conceptual foundation we search for a method of expression that would suits best for the initial concept. One of our vital methods includes making large-scale models of the space and experimenting on them. This is a method we have borrowed from architecture discipline and it helps us to go further on our projects. Since working with models also allows us to try ideas with real materials, the risk of running into surprises is minimized. MK: In their essence, your projects are conceptualized through the joint considerations on architecture, experience, time, and considering space as art. From this perspective, Yoğunluk exhibitions become visible through experience. How do you go about explaining your projects to viewers not familiar with your works? IE: This explanation is a though one. Projects have their own language and time, where this language is expounded through an existentialist channel. We avoid using a symbolic language, while we borrow from other disciplines such as cinema and architecture. 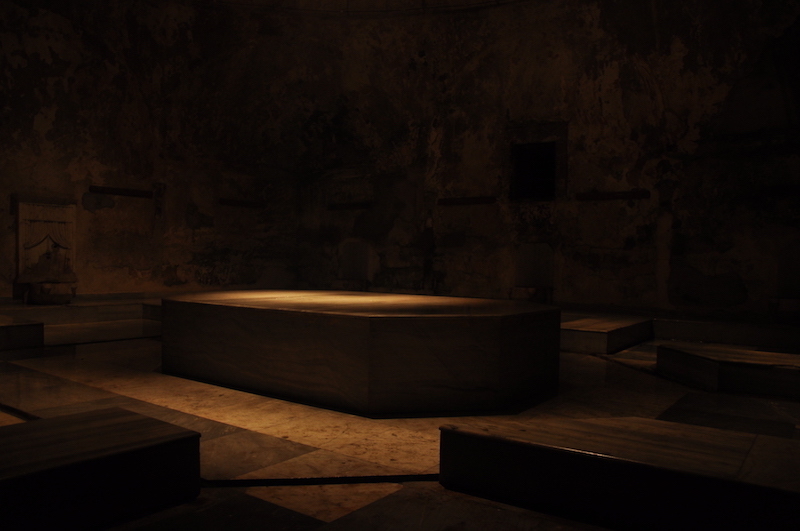 Similar to the way in which you can’t adequately describe a painting or a movie not seen by the listener, our works can’t be fully grasped without the spatial experience. While experience is important for other arts as well, our discipline expresses itself entirely through spatial experience. Thus it can be seen that its representation is more challenging than other forms of art. It cannot be easily photographed, its’ documentation would have always been inadequate. 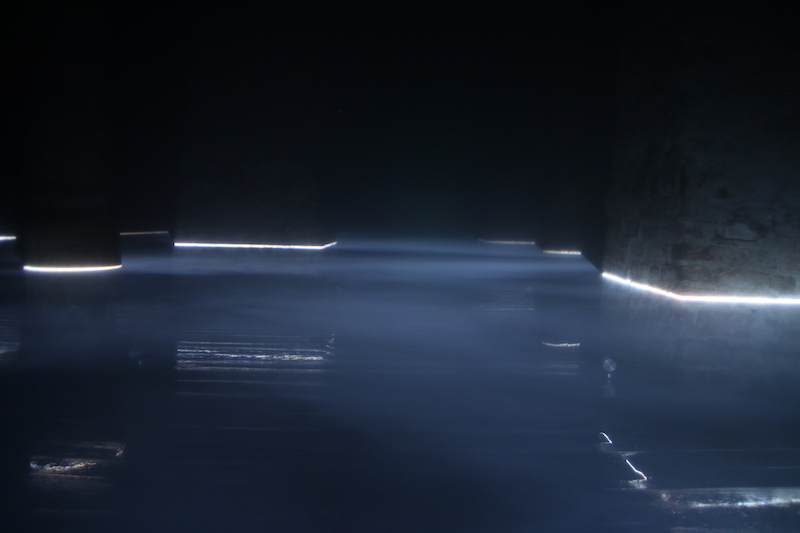 We create temporal installations based on the space. The automation systems we employ create installations within time; which reveal certain aspects of the space, emphasize on them, or reference what we are trying to say about the space. MK: Since you create works that focus on intervention, revealing, and experience, how do your projects differ in the production and exhibition processes from what is traditionally known as contemporary art? IE: While we effectively use media tools in our projects, we avoid revealing them as opposed to their contemporary counterparts. In our works media tools cannot be explicit, however it can be guessed of course. As an example, if we are using a projector, we keep this hidden from the viewer, but the viewer guesses that a projector is involved when experiencing the work. In contemporary art, medium used specifically as a self-reference to itself. As a result to show the medium of the artwork may carry quite importance. For our projects, material and media tools are nothing more than instruments that help reveal something else. 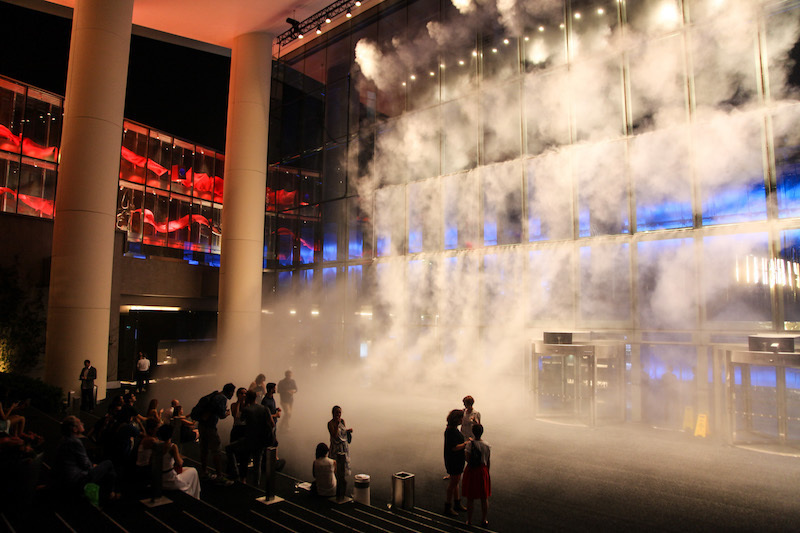 MK: How did you develop the idea of the “Sublime” installation that you have made for Zorlu Performance Center's front line last year? IE: The idea for Sublime emerged after discovering the glass was the most signifying element of the building. Watching the glass façade which was held up by aluminium joinery we observed that the space in front of façade were creating an amphitheatre as wide stairs go towards up. These steps were also being used as seats, and various performances were taking place in the space. We wanted to use the grid of aluminium joinery in a way that would fill the amphitheatre and redefine the space. 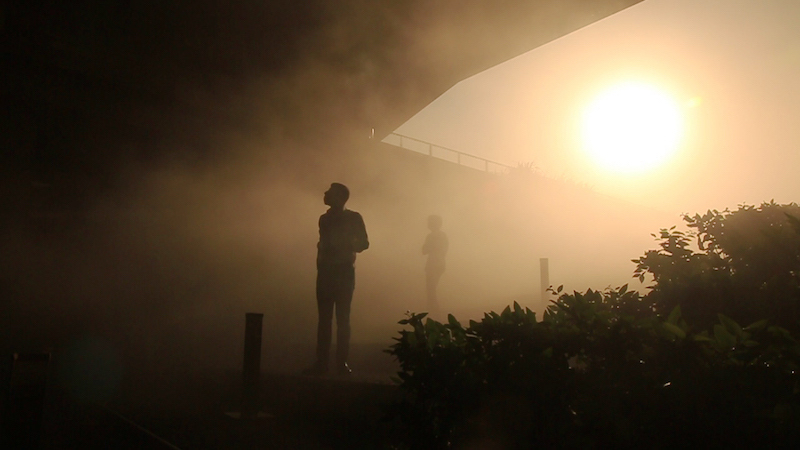 By filling the venue with fog, we wanted to emphasize on the most significant invisible element in the space, the wind. Viewers usually focus on the visible; they mostly ignore the invisible components. 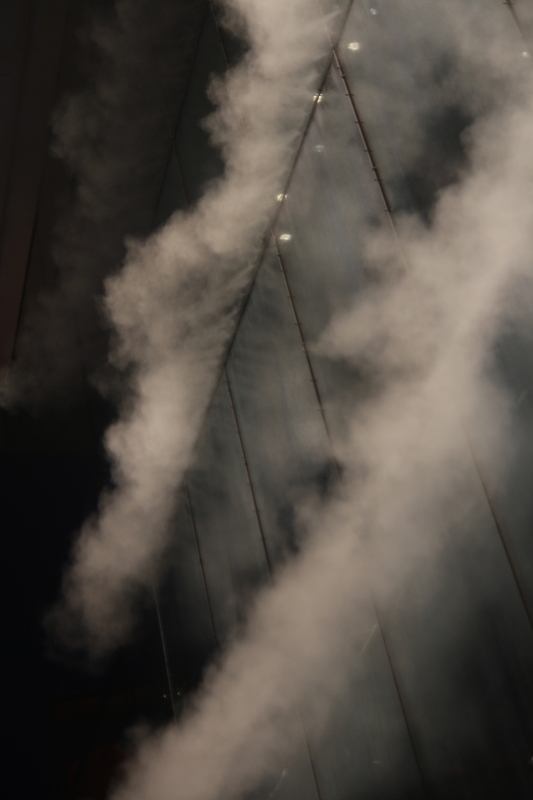 We created a system of combined steel pipes that allowed us to release water particles to obtain fog without touching the glass. 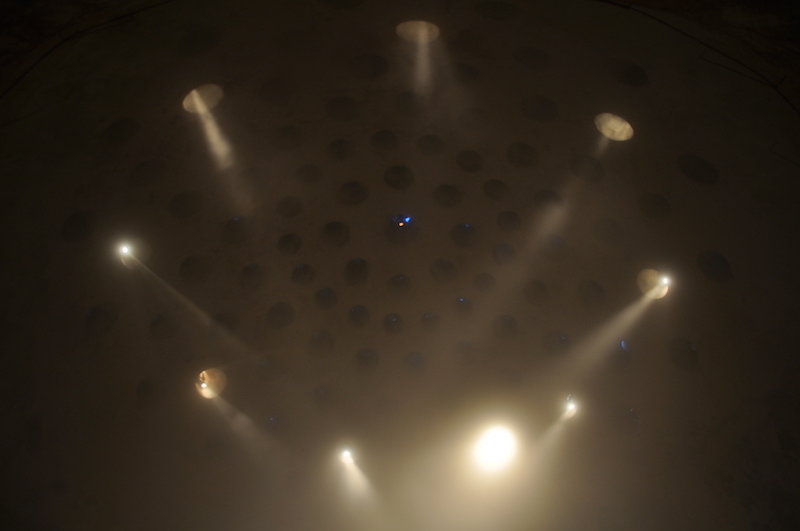 The realization of the installation was a hard one, and each session revealed different results such as whirlpools, dense streams of fog resembling waterfalls, and fog grains carried out to the other end of the building, even the street by heavy wind. 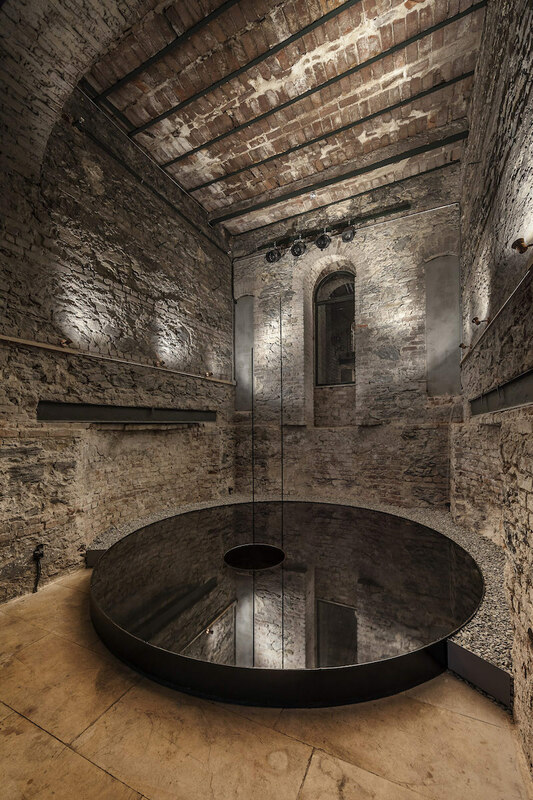 Spending time at the venue, the viewer would experience a different space with different times of the day, since the movement of the sun affected the installation itself. In the morning, when the sun couldn’t be seen from this side of the building, the front side would turn into a three-dimensional screen when the wind was not blowing. But if it was windy, then whirlpools would form, and the tiny drops splashing the viewer would gain a terrifying speed. In the evening the sun would make itself visible, that rays from above would penetrate the fog, creating a temple-like imagery in one of the busiest shopping malls of Istanbul. Another vital idea in the project was replacing the condition of looking at something into something what is being looked at. MK: What do you expect from the new art season and what kind of projects are you working on at the moment? IE: We have few projects on hold but unfortunately we cannot say more about them. There are so many elements oncoming beyond our hands, there is always a possibility of a cancelation or a development. Even the sponsorships have changed in past few years for example. Due to current situation in our country many firms and companies are cutting their fund and cancelling their upcoming projects. Recently we were working on a Hammam project in Istanbul and it requires one solid and heavy piece of glass. Transportation of this piece is risky, and for such project one cannot work through standard structure procedures and solutions. In order to construct the project we need a new methodology, we have to work on research and development and consult the professionals. These parameters do not allow for cutting any costs like security, research and development, protection and restoration, materials and necessary equipment. Naturally it creates a high budget for each project and companies in Turkey are usually hesitating to cover them all and also we don’t have a standardized art funding system for these kind of projects. MK: What are your main expectations as an initiative based in Istanbul? IE: In difficult times art always takes initiative to constitute safe areas, which enables people to refresh and contemplate. One of our expectations is that our works will be on sight for longer time spans, so it can be experienced by many more. As much as we love creating temporary works that become part of the actual memory of the space and can be experienced only once or twice, we also want to work on permanent spatial works. Besides all of this we also would like to have a project abroad this year.